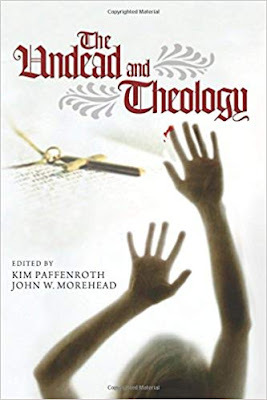 NEW MYRIOBIBLON: 14 - Book Review: "The Undead and Theology"
This clever, insightful, and energetic collection of essays brings monsters into conversation with the resurrection of Jesus, and considers the eschatological implications of the return of the dead. Both theologians and fans should appreciate this collection that explores the spiritual implications of society’s fascination with the undead and other monsters, providing valuable insights into human nature and theology. It is a notable contribution to pop culture studies.